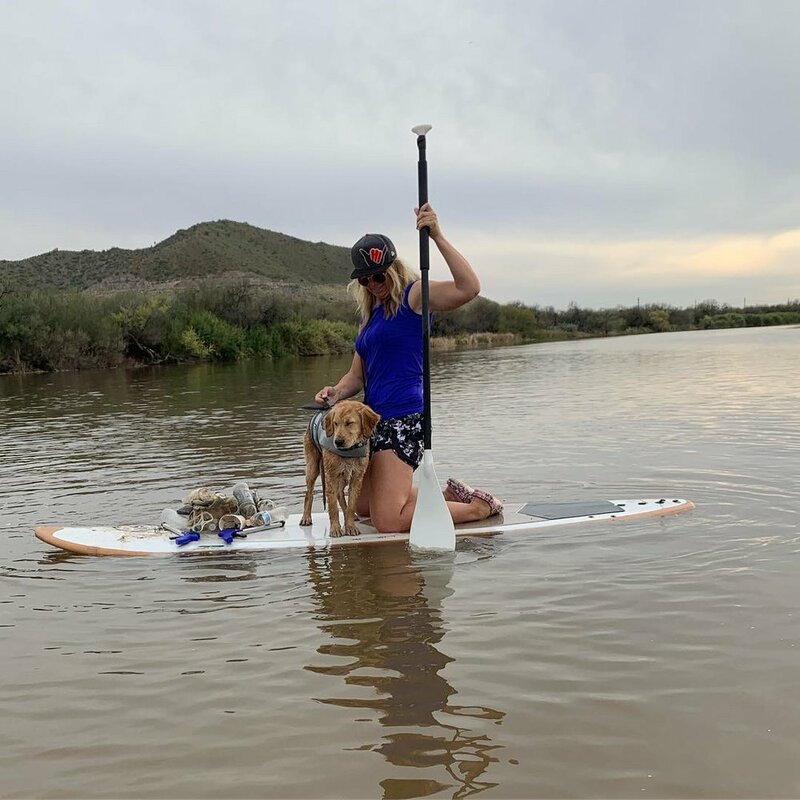 Natural Restorations is teaming up with Desert Paddleboards & Visit Mesa to bring you a Paddleboarding & Kayking Lower Salt River Cleanup on Saturday , May 11th from 10am to 12pm. We are going to meet at Phon D Sutton Recreation Area and paddle down to Granite Reef removing trash along the way. We will start by spending about 30 minutes #plogging and picking up trash left in the parking lot, picnic area, and the main trail that leads to the water at Phon D and then we will head down the river. If you have a kayak or paddleboard, come out and join us for a fun morning paddling down the Lower Salt River while removing trash we find along the way. If you do not have a kayak or paddleboard, you can rent and reserve a paddleboard from Desert Paddleboards for $20 (15 available). Click HERE for rental and pickup info. Please register for participation and we will send you all of the event details, click the green registration button below. If you reserved a paddleboard, please let us know if the message section. If you have mesh bags or trash grabbers, this is a great time to use them. We will have also have trash bags, gloves and grabbers for you. *Plogging is picking up trash and jogging; jogging is not a requirement to participate. Photos courtesy of Desert Paddleboards.